The program in Urban and Regional Studies (URS) is a four-year academic program aimed at understanding human communities and their regions. URS courses ask how a vast spectrum of social and economic forces have changed cities; what these changes mean for people in their daily lives; and how citizens, community groups, and planners can work together to make productive, sustainable, safe, lively, and livable places. Graduates from the program receive a bachelor of science degree. Core classes in the major focus on cities and regions — their history, governments, economies, and sociology; students elect other classes from the department and throughout the university. First-year and transfer students begin with two introductory classes, one on American cities and one on cities throughout the world. In the second year of the program, students take core classes on urban politics, policy, and planning. Please consult the CRP class listings for a complete listing of URS classes. URS students must successfully complete two First-Year Writing Seminars. Information regarding the First-Year Writing Seminar can be found at www.arts.cornell.edu/knight_institute. Advanced Placement (AP) credit can be applied toward a maximum of one First-Year Writing Seminar. Students earning a score of 5 on one English literature and English language exam will receive 3 credits which will be applied toward one First-Year Writing Seminar. Students earning a score of 5 on both English literature and English language exams will receive 3 credits toward one First-Year Writing Seminar and 3 credits toward the free elective requirement. Students must successfully complete nine classes outside of the Department of City and Regional Planning for the distribution requirement. A total of four classes must be completed in the categories of physical and biological sciences (PBS) and mathematics and quantitative reasoning (MQR). Of those four classes, at least two must be classified as PBS and at least one class must be classified as MQR. The fourth class can be classified as either PBS or MQR. The remaining five courses must be courses identified by any college at Cornell in the categories of cultural analysis (CA); historical analysis (HA); knowledge, cognition, and moral reasoning (KCM); literature and the arts (LA); and social and behavior analysis (SBA). These five courses must be selected from at least four of these five categories (i.e., CA, HA, KCM, LA, and SBA). No more than three of these five courses can be taken in any one department. URS students can apply ART 2907/ARCH 3702 - Visual Imaging in the Electronic Age toward the MQR requirement. URS students can count architectural history offerings in the Department of Architecture (ARCH 3810-3812) as HA or LA without petition. In addition, art studio (ART 2201 - 2799 and ART 3201 - 3799) and art history (ART 3801 - 3899) offerings in the Department of Art can count as CA or LA without petition. The program requires that students take five additional CRP classes at the 3000-level or higher, for a minimum of 3 credits each. Independent study courses (CRP 4900-4970 ) cannot be applied toward this requirement and will be automatically applied toward the free elective requirements area. CRP 3348/5348 - Design Connect , if completed for 3 or more credits, can be applied toward a maximum of one required CRP class; additional enrollments will be applied as free elective credit. Students are encouraged to select courses in consultation with their faculty advisor or from the list of recommended courses organized by planning interest area . Required CRP courses must be completed at Cornell University. URS students are expected to complete all URS degree requirements and comply with college and program rules. Any deviation must be petitioned prior to the act. Failure to comply with department rules may result in review by the college Academic Review Committee. Students may not use any one class to meet more than one specific requirement (i.e., if a student takes a statistics class to meet the MQR distribution requirement, that same statistics class may not be used to meet the statistics requirement). For classes that satisfy any specific requirement (i.e., distribution requirements, core requirements for the major, and CRP required courses), the class must be successfully completed with a letter grade, unless a particular class is offered exclusively under the satisfactory/unsatisfactory grading basis (SX/UX). Students may not satisfy any distribution requirement, core requirement for the major, or required CRP class requirement with a class completed for fewer than 3 credits. The required core classes for the major and the five required CRP classes at the 3000-level must be completed at Cornell. For URS students, AP credit is applied as free elective credit only, with the exception of up to one First-Year Writing Seminar. URS students may not apply AP credit to core major requirements or distribution requirements. Please refer to the AP section of this catalog for additional university guidelines regarding AP credit. CRP 1100 , CRP 1101 , CRP 2000 , CRP 2010 , CRP 3210 and the five required CRP classes cannot be satisfied with transfer credit; these classes must be taken at Cornell University. To ensure a timely transfer of credit, incoming transfer students are required to submit final transcripts immediately upon acceptance. Students should also meet with the director of undergraduate studies and the AAP Office of Admissions and Academic Services during orientation to review how their credits are applied toward the Cornell degree and for course enrollment planning. 30 of the 60 credits must include the five required CRP courses for the major (CRP 1100, CRP 1101, CRP 2000, CRP 2010, and CRP 3210) and the five required CRP courses. Students wishing to deviate from degree requirements or any college or department policy must petition the department for permission. Petitions must be submitted prior to the act. Further, students wishing to take more than the standard number of credit hours should have a cumulative grade point average of 3.000 or better. Petitions should be submitted only if there are clearly extraordinary circumstances that merit special consideration. In order for a petition to be approved, circumstances must be extenuating. Once submitted and acted upon, petitions can only be reversed by subsequent petition. Appeals: A student has ten days from the time of the petitions decision to appeal the decision in writing. Appeals should be submitted directly to the Department of City and Regional Planning for review and vote by the full tenure/tenure-track faculty. The faculty decision on the appeal is final. No further appeals will be considered. In addition to on-campus studies in Ithaca, URS students are encouraged to take advantage of the university’s resources for international research and education. Many URS students choose to participate in AAP’s semester-long Cornell in Rome program, usually during the spring semester of junior year. Other URS students participate in semester-long Cornell Abroad and/or Cornell in Washington programs. A semester-long URS New York City program, based at the AAP NYC studio in Lower Manhattan, is currently available to a limited number of students through a competitive application process. The urban studies component of Cornell in Rome is offered during the spring semester for students interested in the economic, political, cultural, and social life of contemporary European cities and regions. While there, students take classes in art, architecture, and urban planning, all emphasizing the convergence of artistic, cultural, and architectural ideas unique to Rome. URS students in their third or fourth year of study are eligible to participate in Cornell in Rome. To be eligible for Cornell in Rome, URS students are required to have a minimum cumulative GPA of 3.000 or better, and to have successfully completed CRP 1100 , CRP 1101 , CRP 2000 , CRP 2010 , and the FWS, economics, statistics, and physical education requirements prior to the Rome semester. Students are admitted by application and review of their record. Application is made by December 1 of the preceding year to the AAP Office of Admissions and Academic Services. For additional information, visit the Cornell in Rome website or meet with the AAP coordinator for global study in the Office of Admissions and Academic Services, 235 Sibley Dome. Students are required to enroll in CRP 4160 - Rome Workshop , a 6-credit field research course that defines the semester. It requires students to spend about 20 hours per week in assigned peripheral neighborhoods exploring such issues as public space, urban design, social housing, infrastructure services, immigrant integration, tourism, historic preservation, and economic development challenges. Additionally, students typically enroll in courses in art history, architecture history, studio art, and Italian, along with architecture, art, and visiting students. URS students may fulfill in-department electives, distribution requirements, and free electives in Rome. The five-year concurrent degree option allows students to earn a B.S. in Urban and Regional Studies as well as a bachelor of arts (B.A.) from Cornell’s College of Arts and Sciences, or a B.S. from Cornell’s colleges of Agriculture and Life Sciences, Engineering, or Human Ecology. Students usually apply to the concurrent degree option during their second year. Once admitted, they are assigned an advisor in each college to assist with course planning and graduation requirements. Concurrent degree candidates must satisfy all requirements for both degrees and a minimum of 150 academic credits. URS seniors may apply to earn an accelerated Master of Regional Planning (M.R.P.) degree. If admitted to this highly selective program, all two-year M.R.P. requirements apply. Therefore, acceleration is not guaranteed for all URS students who are admitted to the M.R.P. program. The accelerated degree option will allow URS student to complete the M.R.P degree in three semesters if the required number of graduate level credits were completed during their URS program. Because acceleration requires careful planning, interested students should meet with their advisor and develop an academic plan that includes upper division CRP courses during the last two years of the URS program. The accelerated M.R.P. option remains available to URS student who choose to work for a few years before returning to study. In fact, URS students are encouraged to work for a year or two before returning for the accelerated M.R.P. program. For detailed M.R.P. degree requirements, refer to the M.R.P. program information that follows in this catalog. For information on admissions requirements and how to apply, contact the Department of City and Regional Planning office. The Urban and Regional Studies (URS) minor has been formulated specifically for out-of-department students who are interested in complementing their current academic program with an introduction to various facets of urban studies (domestic, environmental, international, professional, or urban affairs). To complete the URS minor, students must take at least six courses (minimum total of 18 credits) in the Department of City and Regional Planning (CRP). Courses must be completed with letter grade of C or better. 2. 9 credits of elective CRP courses at the 3000-level or higher. Upon completion of course requirements, students complete a URS minor application form, and submit it to the Department of City and Regional Planning Office, 106 West Sibley Hall. The URS minor will be recorded on the student’s transcript at the time of degree completion. The Department of City and Regional Planning (CRP) offers several options for graduate work in city and regional planning, historic preservation planning, regional science, and real estate. Planning degrees include a Master of Regional Planning (M.R.P. ); dual master’s degrees in planning and landscape architecture, and planning and real estate (Baker Program in Real Estate); and a Ph.D. in city and regional planning. The M.R.P. is accredited by the Planning Accreditation Board (PAB). AAP offers a M.A., M.S., and a Ph.D. in regional science, a discipline largely developed here at Cornell. 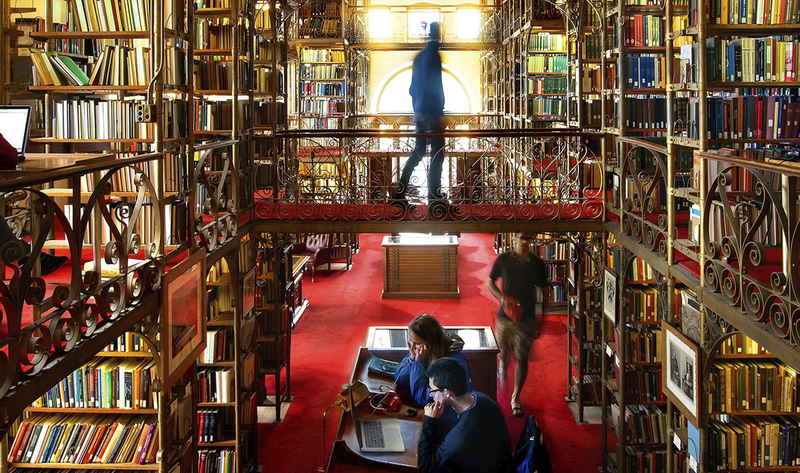 Cornell was one of the first institutions in the country to offer preservation courses, and is internationally recognized as a leader in the field. AAP offers a M.A. in historic preservation planning. For more information regarding the graduate programs in the city and regional planning department, please refer to the department website. The Master of Regional Planning (M.R.P.) core curriculum provides each student with a foundation in planning and spatial theory, and the tools of planning analysis — both qualitative and quantitative.It includes topical area requirements such as law, international institutions, statistics, and workshops that test theory in practice. In addition an independent writing project is required. Complete 60 credits; at least 30 of these credits must be obtained within the Department of City and Regional Planning, including credits earned in fulfilling and completing the thesis, professional report, or research paper, and the M.R.P. core requirements. Be in attendance for four full-time semesters of study. Have an Exit Project Advisor on file by the end of the first year. Failure to meet this deadline may result in an enrollment and/or registration hold on your record until the Exit Project Advisor is officially recorded. Have an Exit Project Minor Advisor on file by the end of the third semester. Failure to meet this deadline may result in an enrollment and/or registration hold on your record until the Exit Project Minor Advisor is officially recorded. Complete the Exit Project requirement by submitting an acceptable research paper, professional report, or thesis paper (two bound copies submitted to the graduate field coordinator). Following are the lists of courses required to complete a typical two-year M.R.P. degree. M.R.P. students should consult with a department advisor for a complete list of courses that can be applied toward requirements three through seven below. 6. Successful completion of a workshop that is offered in land use, community and economic development, international planning, historic preservation planning, real estate, and urban design. Two bound copies must be submitted to the graduate field coordinator before the thesis degree deadline. See the graduate field coordinator in 106 West Sibley Hall for full instructions regarding formatting and binding guidelines. Beyond the core curriculum, the department offers three concentrations. The first two, Land Use and Environmental Planning and Economic Development Planning, are thematic, while the third, International Studies in Planning (ISP), is for students wishing to work outside the U.S. It is common for students in ISP to also work in the other two concentrations. No grade below C– is acceptable for meeting the 60-credit-hour requirement. No grade below the C level will meet a core requirement. No more than six hours of grades of C–, C, or C+ will be accepted for meeting the 60-credit-hour requirement. Partial credit from a course could be used in calculating this six-hour maximum; e.g., if a student received C in two, 4-credit courses, only 6 of the 8 credits may count toward the degree. A cumulative grade point average of B (3.000) is required for graduation. Nonacademic courses and courses not related in some way to the student’s degree will not be counted in the 60 credits. Please refer to the college policy regarding nonacademic credit for additional information. Examples of courses not related to the degree may include HADM 4300 - Introduction to Wines or WRIT 1011 - Academic Writing . Incomplete coursework must be completed by the beginning of that semester one year hence, unless an earlier deadline has been set by the course instructor. Failure to have an Exit Project Advisor on file by the end of the first year of study (May 31) may result in an enrollment and/or registration hold until an advisor has been identified. Failure to have an Exit Project Minor Advisor on file by the end of the third semester of study (January 1) may result in an enrollment and/or registration hold until an advisor has been identified. The M.R.P. degree is a two-year program of study. Students have a maximum of four year from the time of matriculation to complete all degree requirements. After four years, students will be withdrawn from the program. Comply with all M.R.P. curriculum and rules. At the end of each semester, the graduate field reviews the record of each student who is not in good academic standing and decides on an appropriate action from the following: warning, required leave of absence, and required withdrawal from the M.R.P. program. *Please refer to the college policy regarding nonacademic credit. 1. Leaves will be granted at the discretion of the field, and the effective dates are approved by the Office of the University Registrar. Leaves will be granted for a minimum of one-year in length. At the end of the leave, the student must either request to return from leave or request to renew the leave. A leave of absence may be renewed up to two times. After three years, a leave will convert to a withdrawal from the program. Once withdrawn, a student wishing to return to study must re-apply for admission. 2. Return from a voluntary leave of absence is at the discretion of the graduate field and funding is not guaranteed. Requests for spring-semester return must be made by October 1, and requests for fall-semester return must be made by March 1. Failure to return from leave or renew a leave at the end of the one year term will result in withdrawal from the program. Once withdrawn, a student wishing to return to study must reapply for admission. Students wishing to return to the program must complete a Request to Return from a Leave of Absence form. M.R.P. dual degree programs are offered with landscape architecture and the Baker Program in Real Estate. The dual master’s degree in regional planning (M.R.P.) and landscape architecture (M.L.A.) are professionally accredited degrees intended for students with an interest in both planning and design issues. The dual degree prepares students for work in areas such as physical planning, environmental analysis, community development, and urban design — skills which are highly sought after in the public, private, and nonprofit sectors. Students apply for admission to the dual degree generally after already being accepted to either the M.R.P. or M.L.A. program, but need to be admitted to both programs separately. Typically, a student will apply to the complementary program during their first year at Cornell. Additional information is available at http://aap.cornell.edu/academics/crp/graduate/dual-mrp-mla-degree. Students interested in the intersection of land use and urban development can pursue a dual master of real estate (M.P.S. RE) and master of regional planning (M.R.P.) degree. The roles of planners and real estate developers are frequently intertwined. By providing skills and knowledge in both fields, the three-year M.P.S. RE/M.R.P. degree program enables practitioners to pursue professional opportunities that require a sophisticated understanding of the real estate development process in the context of city and regional planning. Additional information is available online at http://aap.cornell.edu/academics/crp/graduate/dual-mrp-re-degree. Graduate students from any discipline at Cornell (with the exception of students pursuing the M.R.P. degree) are eligible to pursue the Graduate Minor in City and Regional Planning. The minor gives graduate students across the university the opportunity to take advantage of the wide variety of city and regional planning courses offered by the Department of City and Regional Planning. Upon successful completion of the required classes, the Graduate Minor in City and Regional Planning will appear on the students’ official Cornell transcript. In addition, students in an M.S. or Ph.D. program must have a member from the Graduate Field of City and Regional Planning faculty appointed as a minor member of their committee. Students interested in pursuing the Minor in City and Regional Planning should complete the City and Regional Planning Minor Declaration Form and return it to the City and Regional Planning office, 106 Sibley Hall. If you have any questions, schedule a visit with the director of graduate studies before turning in the form.